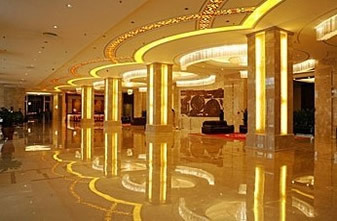 Inner Mongolia Grand Hotel Beijing is located 1000 metres from Beijing Railway Station and a 15-minute walk from the famous Tiananmen Square. 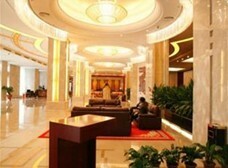 it is located 800 metres from Wangfujing Avenue, and 200 metres for Dongdan Subway Station. Capital International Airport is a 45-minute drive away. Air-conditioned guestrooms feature spacious interiors with modern furnishings. Each room is equipped with a minibar, tea/coffee making facilities and a flat-screen TV with cable channels. Inner Mongolia Flavor Restaurant serves a variety of Mongolian-style dishes. Authentic Chinese cuisine can be enjoyed at Imperial Restaurant. The Mana Western Restaurant offers Chinese and Western buffet dishes. Business travelers can make use conference and meeting rooms seating 20-230 guests and a multifunctional conference hall comes fitted with hi-tech audiovisual facilities. Recreation facilities include a health and beauty spa with steam rooms, sauna and massage, a fitness center, billiards and mahjong room. © Copyright © 2010-2017 WWW.INNERMONGOLIAGRANDHOTEL.COM. All Rights Reserved.